Austal announced that its recently established joint venture with Guandong Jianglong Shipbuilding has won its first ferry contract. Austal wins first ferry contract in new Chinese joint venture. 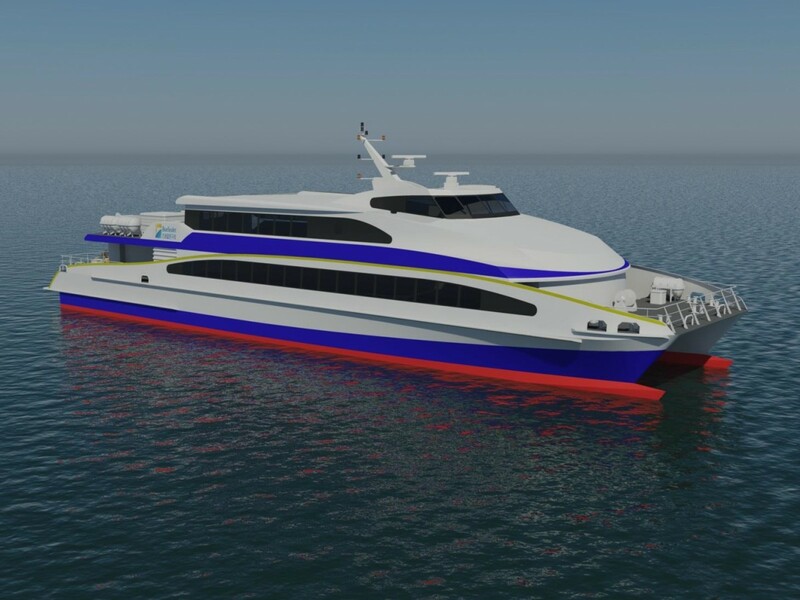 Aulong Shipbuilding, which was set up less than two months ago, has won a A$10 million contract to design and build a 42 metre high speed aluminium ferry for Chinese mainland operator, Blue Sea Jet. 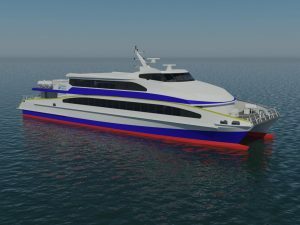 Austal said the ferry is based on a proven company design developed in Australia and will carry up to 288 passengers on the Zhuhai – Hong Kong route, at speeds in excess of 36 knots. “To win our first vessel to be built in China within weeks of setting up the joint venture is a great testament to Austal and our joint venture partner, Jianglong Shipbuilding,” said Austal Chief Executive Officer David Singleton, adding that construction of the vessel is anticipated to commence in October 2016, with delivery scheduled for October 2017. He said the company has appointed an Australian General Manager to oversee the delivery of this and all subsequent contracts and to ensure that Austal’s quality and customer satisfaction is maintained in the joint venture. “Austal has previously delivered 52 vessels to 20 customers in China, Hong Kong and Macau from our Henderson, Western Australia shipyard,” Mr Singleton added. Austal holds 40% stake in Aulong Shipbuilding while Jianglong Shipbuilding owns the remaining with 60%.